Recently, a Michigan State University student started a twitter thread about an important issue within the American incarceration system. Turns out, the legality of slavery is still up for debate even over a hundred and fifty years after the end of the Civil War. Though the U.S. Constitution was amended to prohibit both slavery and involuntary servitude within the country, it left a loophole to potentially exploit people who are convicted of crimes, roughly 2.3 million Americans. The 13th Amendment reads “Neither slavery nor involuntary servitude, except as a punishment for crime whereof the party shall have been duly convicted, shall exist within the United States, or any place subject to their jurisdiction.” And according to Duke’s Undergraduate Law Magazine, this exception makes it clear that incarcerated persons don’t have constitutional rights under the 13th Amendment – they can be compelled to work for as little as $1 an hour. This form of coerced prison labor has its roots in one of the most exploitative labor systems known in American history – the convict lease system. 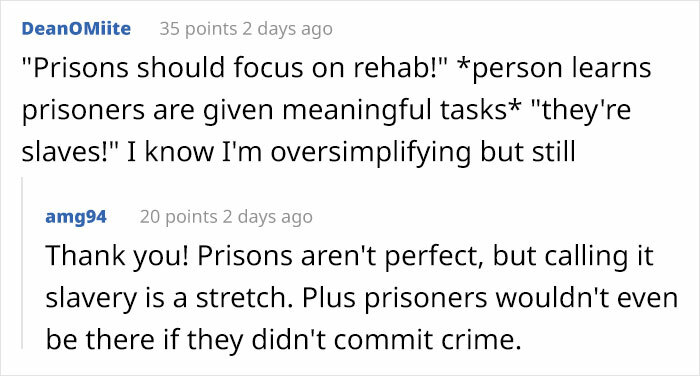 Effectively, states who claimed they were too poor to maintain state convicts within prison walls were allowed to contract their prisoners out to private businesses, planters, and industrialists. 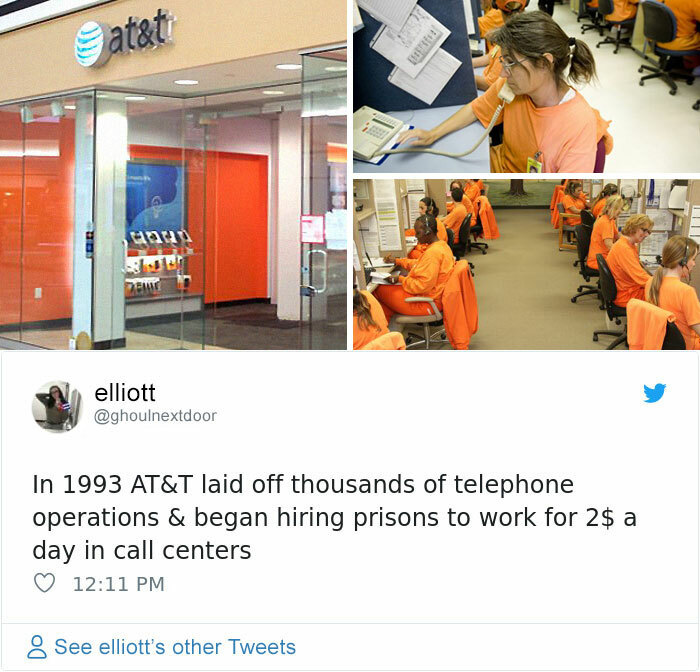 Leasing businesses cut down on labor costs; prisons received a handsome profit, and prisoners are forcibly exploited under abusive conditions. In The New Jim Crow, Michelle Alexander explains how a system of Jim Crow replaced slavery and later how a system of mass incarceration rose to replace Jim Crow. During the Reconstruction era, Southern states quickly took advantage of the 13th Amendment’s slavery loophole by arresting Black people for minor crimes such as unemployment, loitering or gambling, and selling them to private employers through the convict lease system. Even though convict leasing was formally abolished by President Franklin D. Roosevelt in 1941, its impacts still linger in prison labor programs today. Because of the 13th Amendment’s exclusion, incarcerated persons still lack a constitutional right to be free of forced servitude. 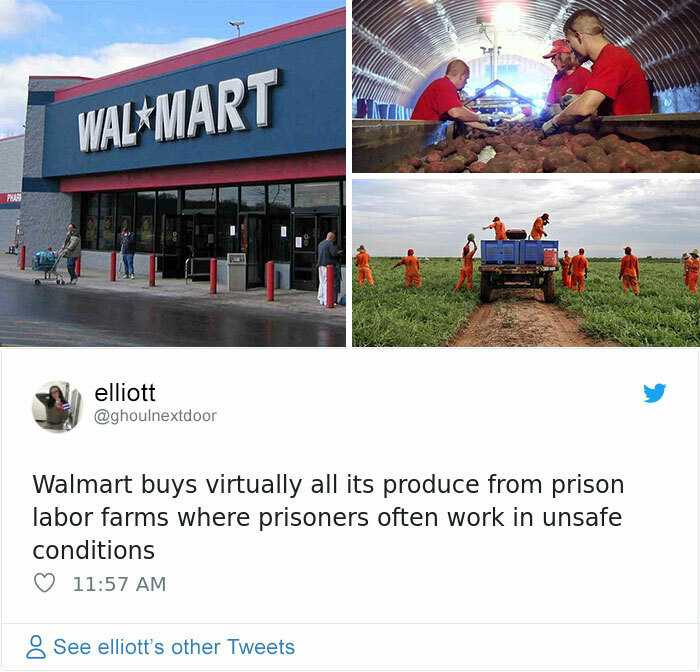 Thus, private prisons some states are legally allowed to capitalize on this using coerced prison labor as a way to minimize costs and maximize profits for its shareholders. Surprisingly, prisoners can even be forced to work under threat of punishment, such as solitary confinement and revocation of family visitation rights. The average wage per hour for incarcerated workers in non-industry jobs ranged from a low of $0.14 to a high of $0.63, while it ranged from a low of $0.33 to a high of $1.41 in correctional industries. 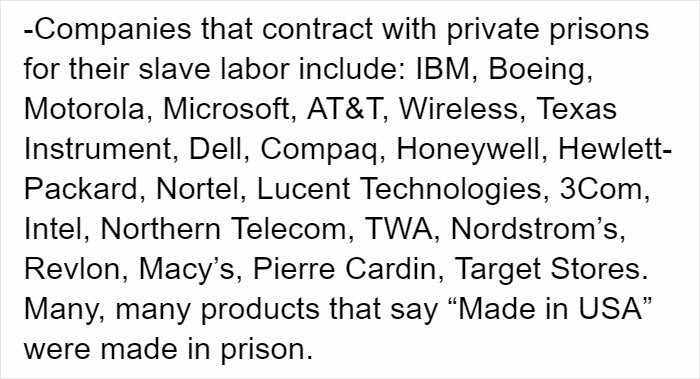 But unlike other workers, U.S. prison laborers aren’t granted protections under the Fair Labor Standards Act and National Relations Act. 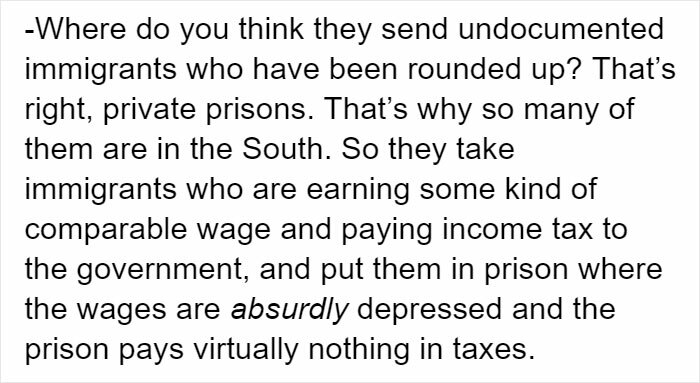 Thus, private prisons are able to continue exploiting their inmates under unfair practices for profit. 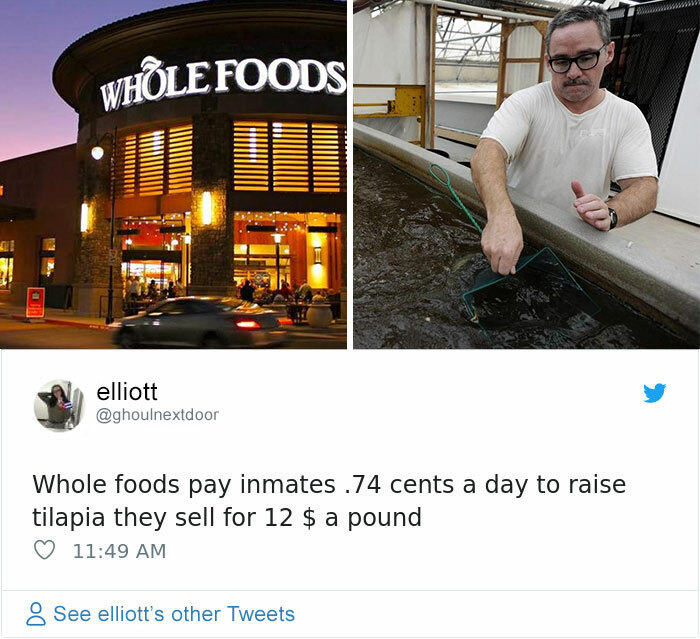 It’s important to note that after it became widely known, Whole Foods Market has stopped sourcing foods that are produced using prison labor. In 1995, the National Institute of Justice released a study that confirmed garment manufacturer Third Generation contracted sewing work in the early ’90s to a prison through a deal with South Carolina Correctional Industries. Victoria’s Secret, along with other companies, ended up buying the apparel through Third Generation. 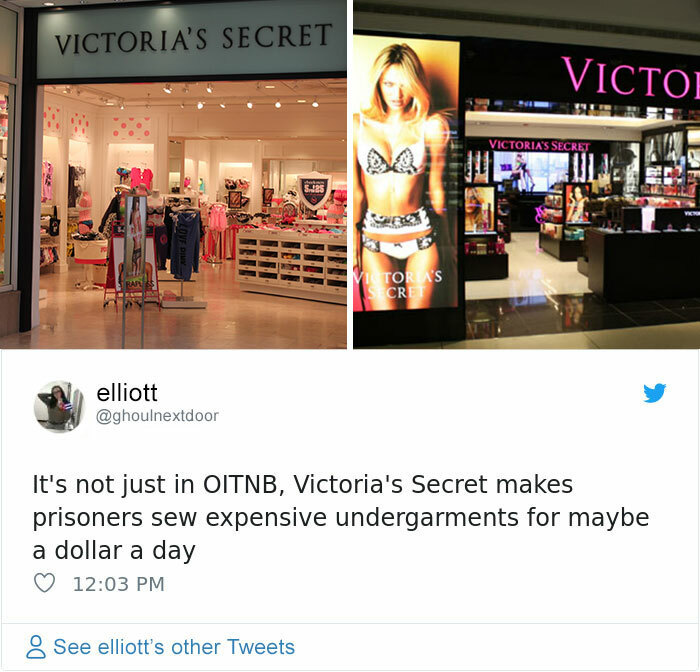 However, Victoria’s Secret quickly ended that practice — Third Generation ended its contract with the prison by the mid-1990s.